HomeRemix the CityConference Project: Do You Control Space? 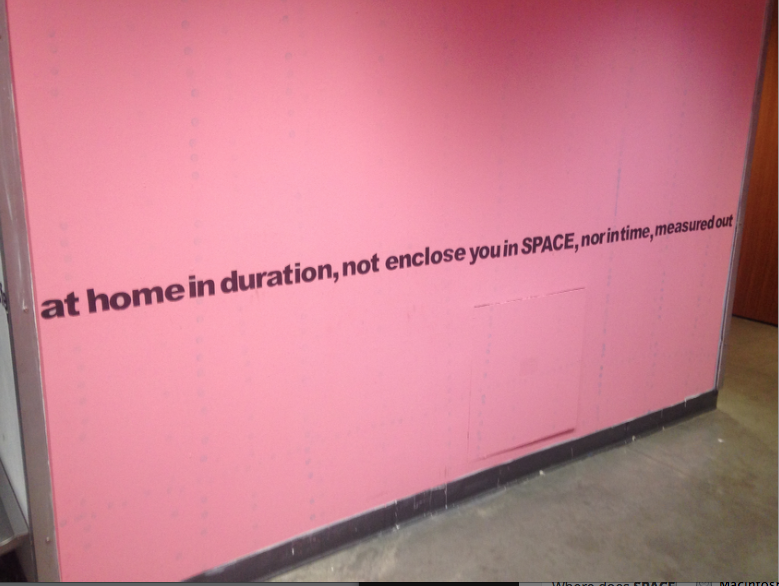 Conference Project: Do You Control Space? 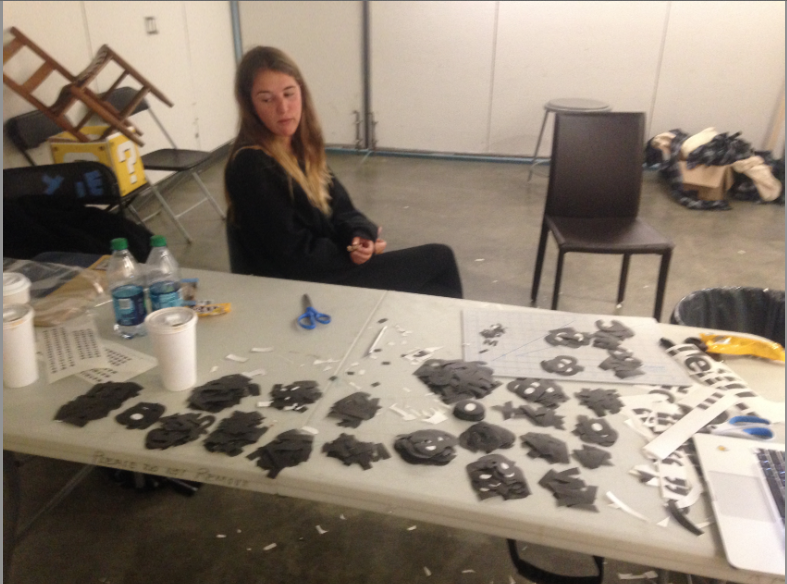 The making of our conference project was definitely time consuming and harder than we thought it would be. We spent 15-16 hours straight in Heimbold, from 4pm to 8am the next morning. We thought we would be home by maximum 2am, but that did not happen… We had to cut each letter one by one, and then stick them up on the wall, one by one. Although the execution took so long, it was a great experience. I had never collaborated with someone artistically before, and it was definitely an enriching experience. Grace and I really put effort into the project and mostly the execution, and it was worth it because we are really satisfied with the outcome. 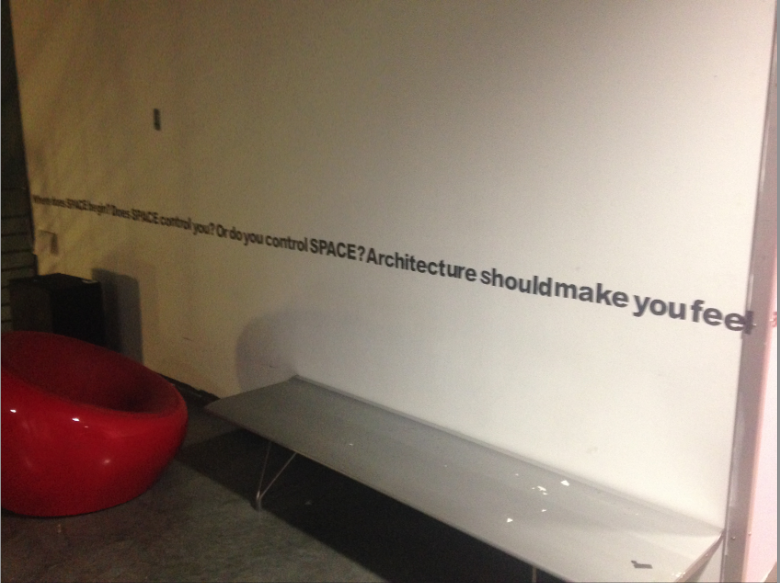 Does SPACE control you? 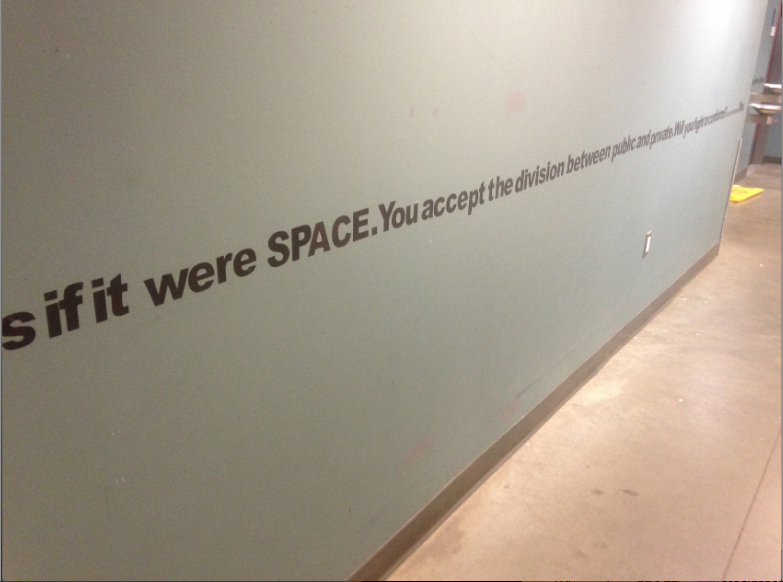 Or do you control SPACE? Architecture should make you feel at home in duration, not enclose you in space, nor in time measured out as if it were space. You accept the division between public and private. Will you fight or conform? You must connect one possibility to another. Either REJECT industry or EMBRACE it. The doctrine of modern architecture excludes artist. Do not let it exclude YOU. When we thought we had done the “worst” part, we had to install. And installing took so much longer than we thought it would. It was definitely the greatest part of the project, though. We saw our project come together letter after letter and that was amazing. We were in such a zone, time did not matter and people around us either. We installed our project during the night to make sure we would not be bothered by people walking through the hallway, but some people were still around, and it was really interesting to see their reactions, as the project was not yet fully put together.